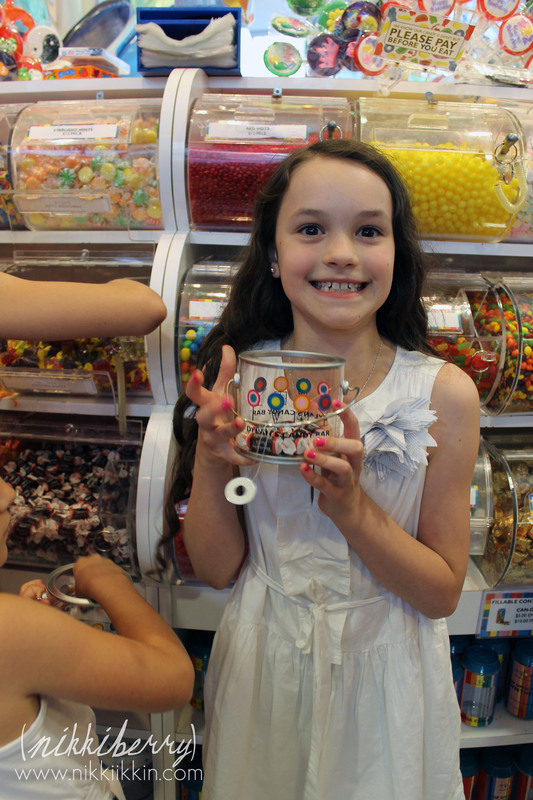 On the last Saturday of the school year, my daughter celebrated her tenth birthday at Dylan’s Candy Bar in Manhattan. It was a birthday wish that we promised her 2 years prior, when we weren’t even living in NYC. Longing so much to get back to New York, we had a very long wish list of sites and to-dos that we promised ourselves we would never take for granted again. 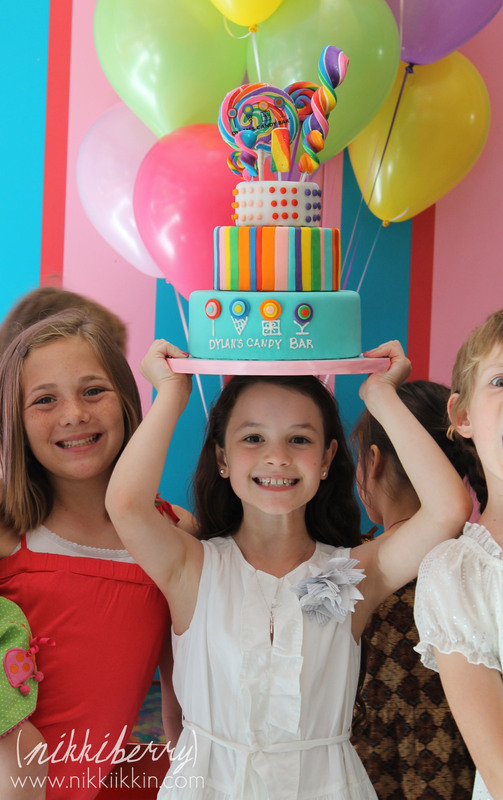 As Macy’s tenth birthday approached she didn’t let us forget that she was due this dream party. 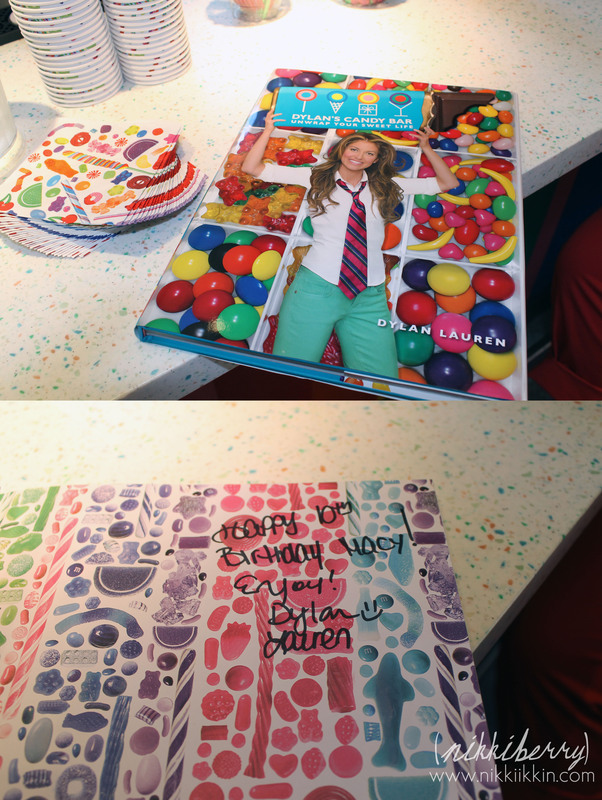 Dylan Lauren, the daughter of Ralph Lauren, opened this candy emporium in 2001. 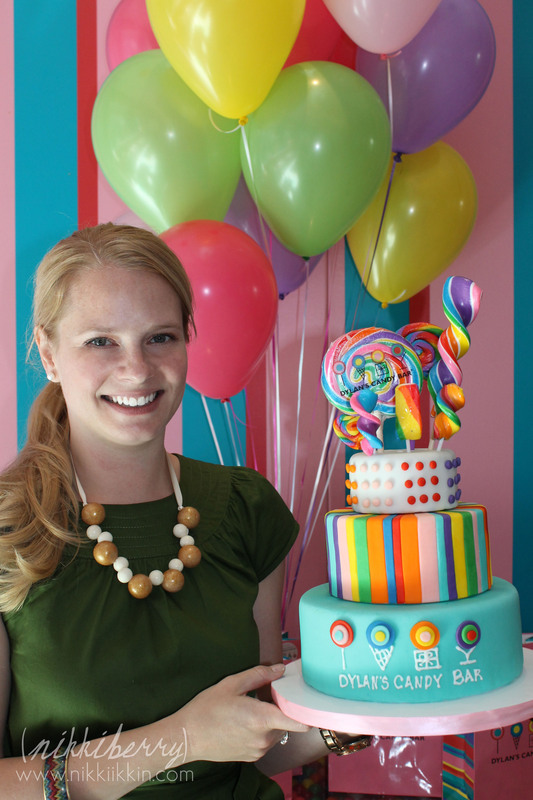 Inspired by Willy Wonka and the Chocolate Factory and a life long love of sweets it was her dream to open a candy store. 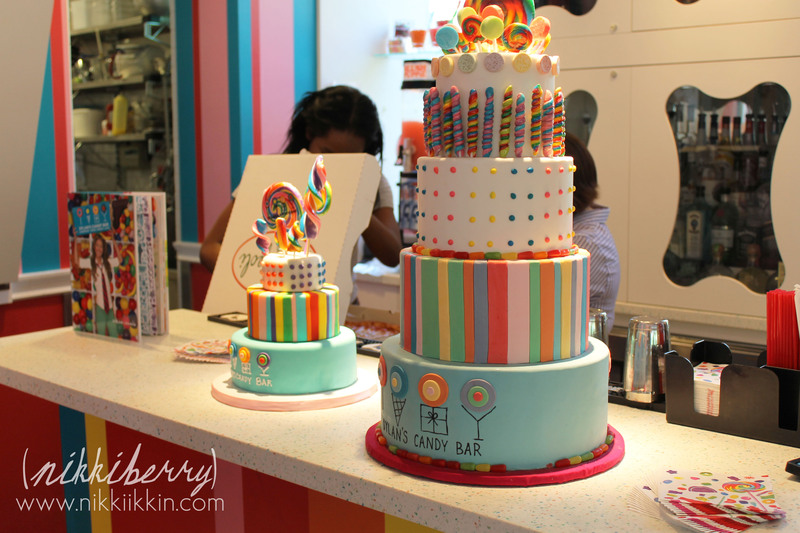 The original NYC location expanded in 2008 and is now 3 floors of sugar and wonderment for the eye. 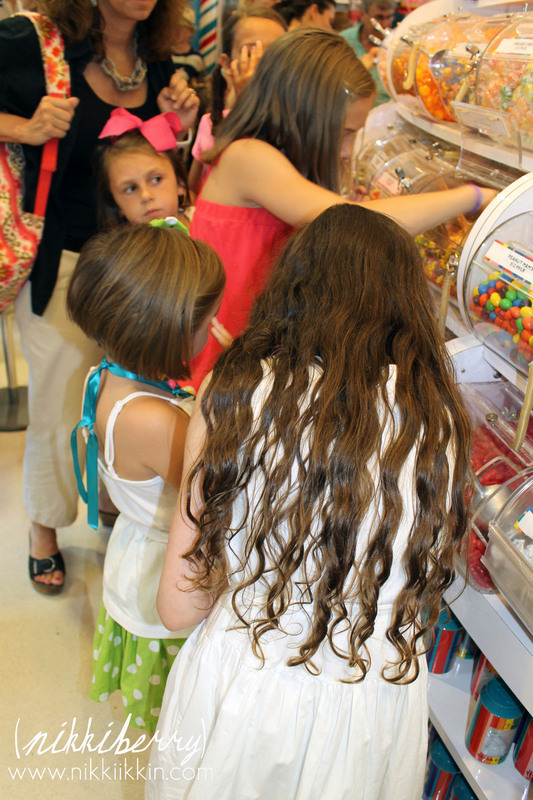 A visit to the store is like walking around a real Candyland game board. 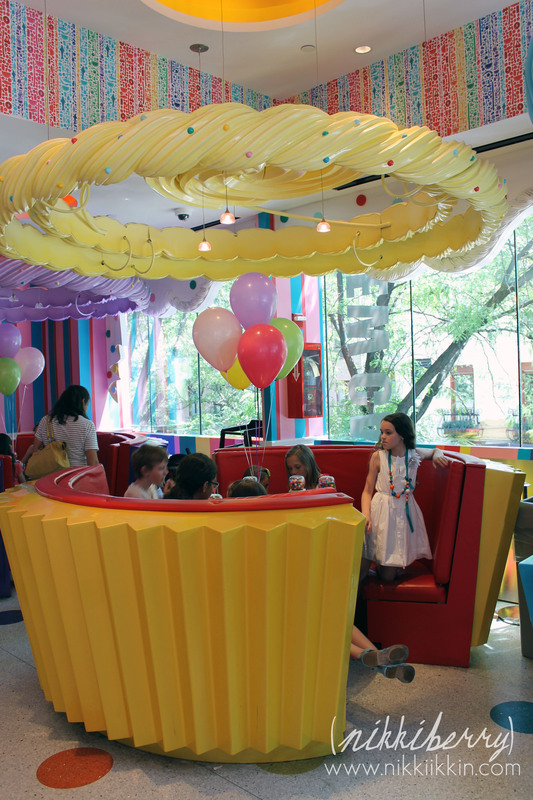 It is hands down my favorite interior designed space…..well besides all of Disney World and Disneyland. It just makes me happy to be there. I don’t even have to leave with pounds of candy, but I always do. We first moved to NYC in 2006 just a week before Macy’s fourth birthday. We took her to Dylan’s on her birthday to celebrate. From then on she was hooked (and yes she has the Barbie doll). We never tire of it being a must-do on our list when we have guests in town and all of our friends are just as crazy about going as we are. 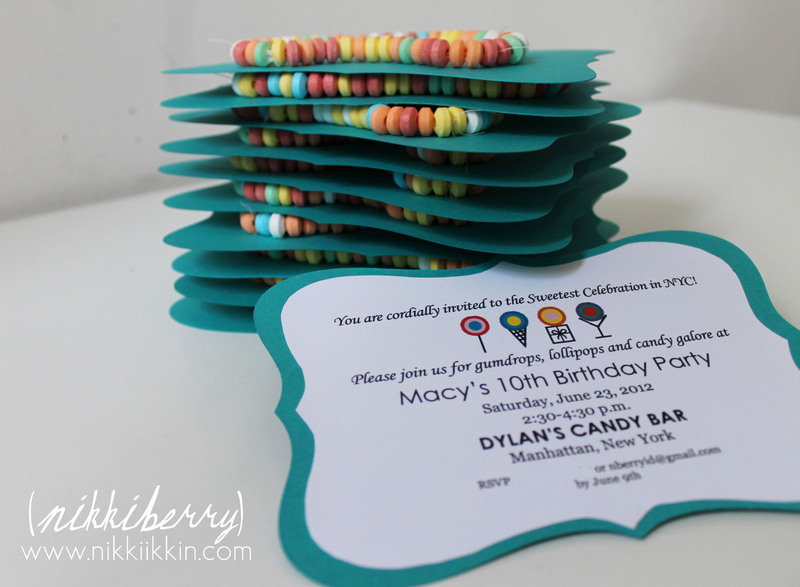 So when we decided to host Macy’s tenth birthday party at Dylan’s we extended the guest list to friends and family back home in Tennessee (as if they needed a reason to make a trip to NYC!) And we were overwhelmed with excitement when 3 of our extended families mod podge themselves into a large collaborative group on a mission to celebrate a “Decade of Macy” with us. 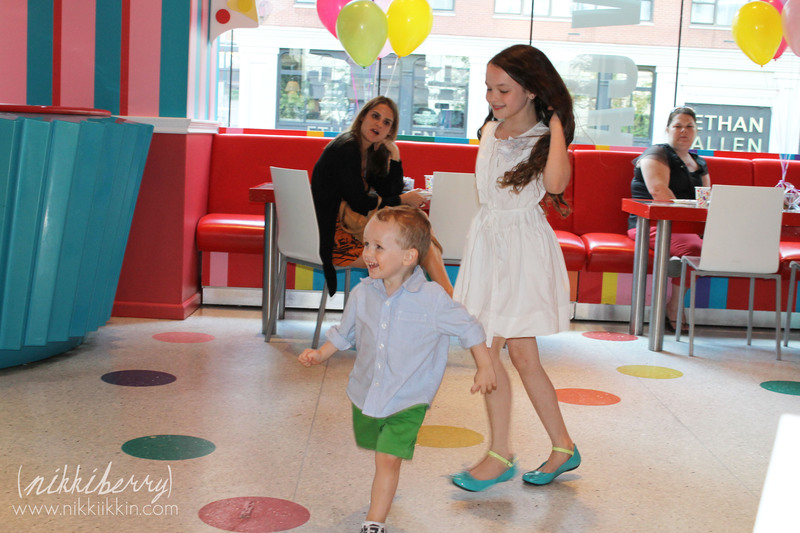 Dylan’s Candy Bar has a special events room that is located on the top floor just off of the cafe. 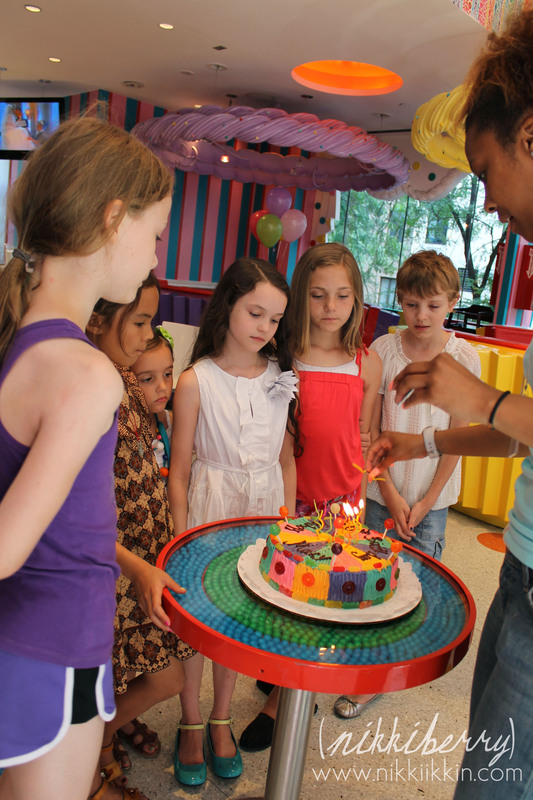 When you book a general party there you choose between 3 types of parties packages that are all-inclusive. One type is just for 1,2&3 year olds, one type is for 21 & up and the third is for anyone 4 to 20 years old. Invitation, cake, pizza, drinks, favors, games, craft, decorations, guest of honor gift & lots and lots of sweets are all included in the party packages. And of course the sky is the limit on add-ons. 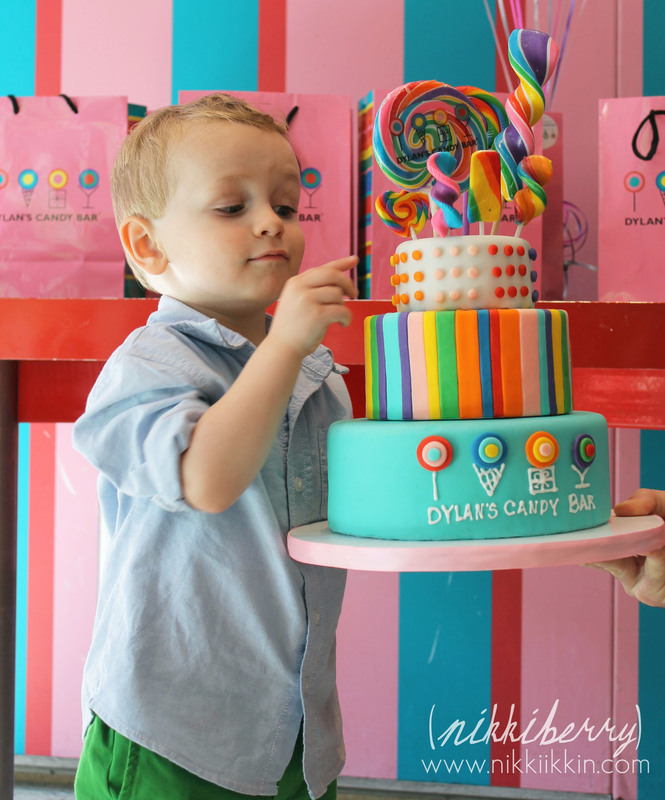 The party coordinator was very easy to work with and even granted my out of the ordinary request of a signed copy of Dylan’s book and having one of their giant signature prop cakes in the room. 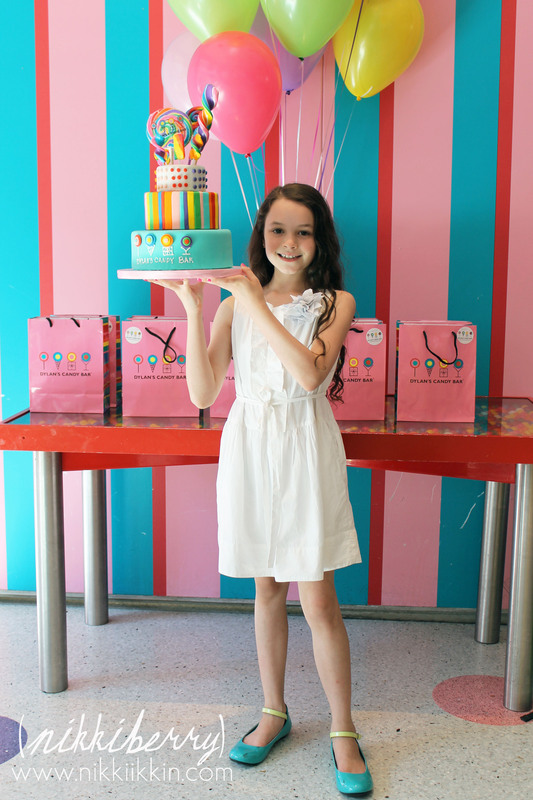 My parties are always very hands on….meaning my hands are what create everything from the invite, cake, food, favors, crafts & decorations. It was hard for me to let go of this responsibility that brings me so much joy. By booking an all-inclusive party there was no need for me to do a thing except show up with the birthday girl. But I couldn’t really stop myself, while the included invitation and cake are both very nice, they were not my style. 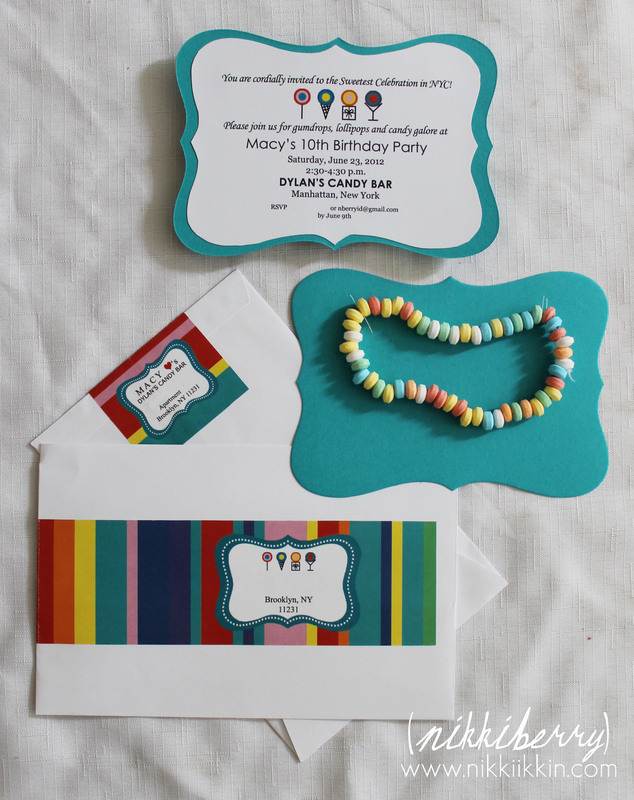 So I made custom invitations that included a candy necklace for the lucky guest. Not wanting to waste Dylan’s yummy cake, I made a dummy cake inspired by the gorgeous signature cakes that Dylan’s uses in magazine spreads and then displays in the store. (Here & Here & Here) My cake was smaller than the original cake and there was only one reason I made it: to use as a photo prop! I took a picture of each guest at the party holding the cake and we gave them the picture in their thank you cards. It was funny to watch the girls timidly hold the cake thinking that it was heavy or that they would hurt it. 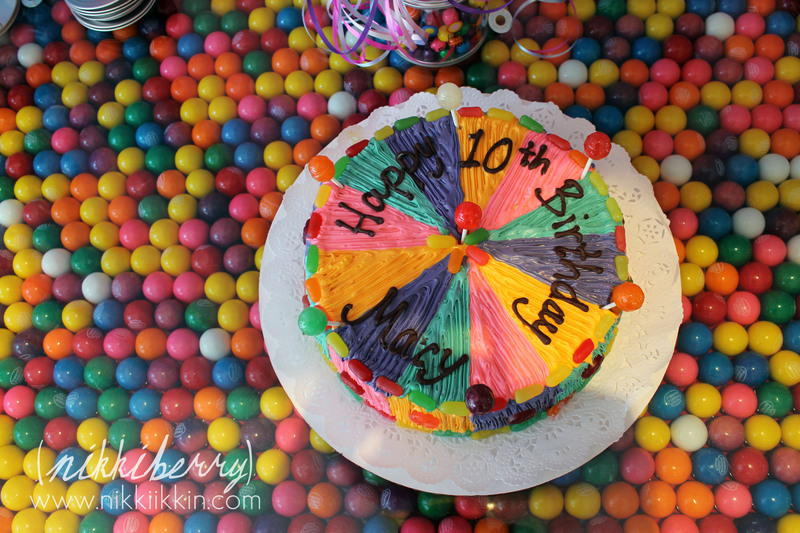 First up on the party schedule was the craft, out of a list of candy related crafts Macy choose the gumball machine decorating. 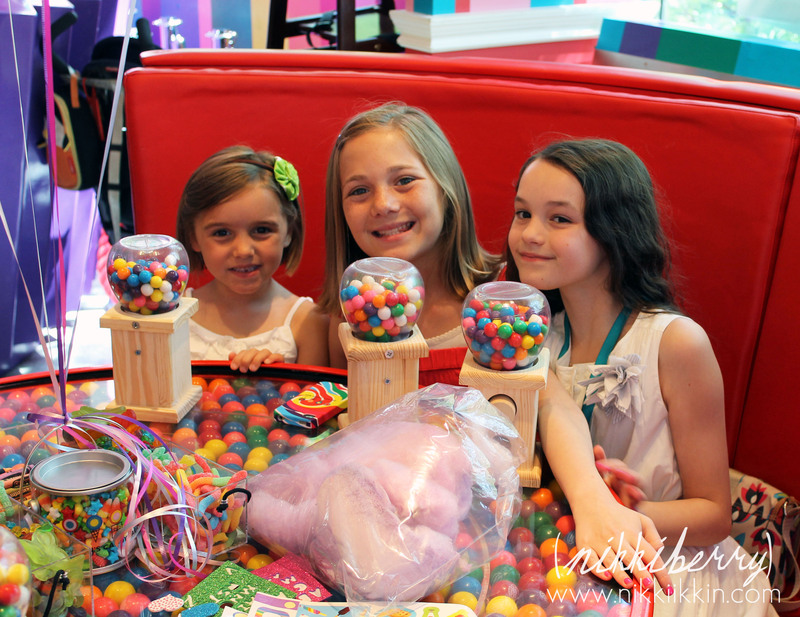 The girls took home a 12″ machine full of gumballs and decorated with stickers. 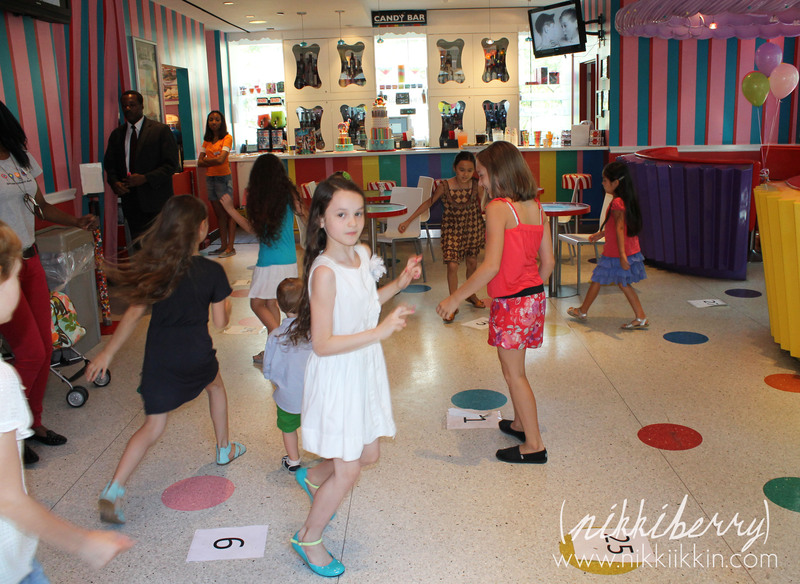 After pizza, the girls played Macy’s chosen sweets games: cupcake walk and freeze dance, which the winning guests received a boxed cupcake to take home. 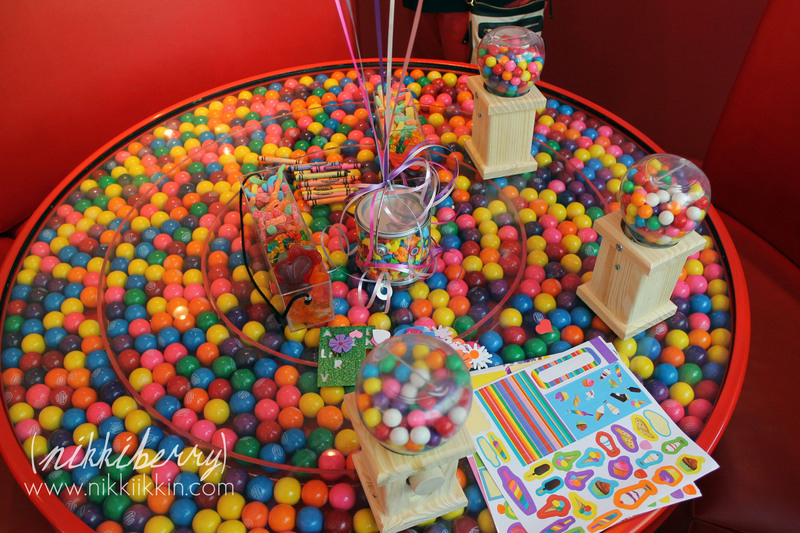 Although the girls were surrounded by candy on the tables they were probably most excited to do the candy spree. 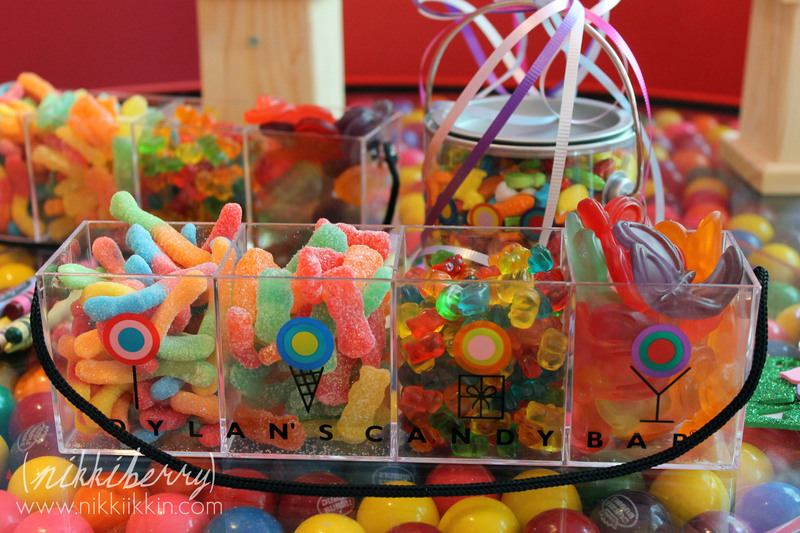 As their party favor each guest received a bucket to fill with whatever candy would fit from the hundreds of choices of confections on the main floor. 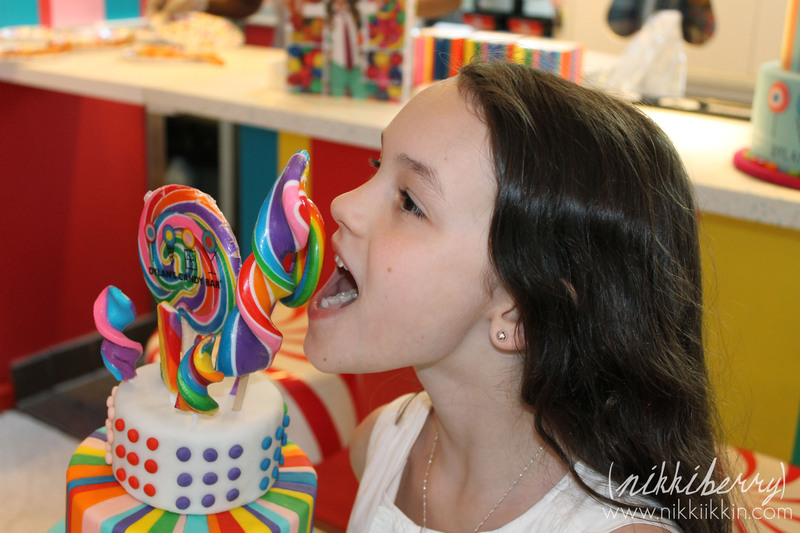 To build up the excitement the party directors marched the girls through the store chanting “CANDY!, CANDY!, CANDY!” it was quite the experience! 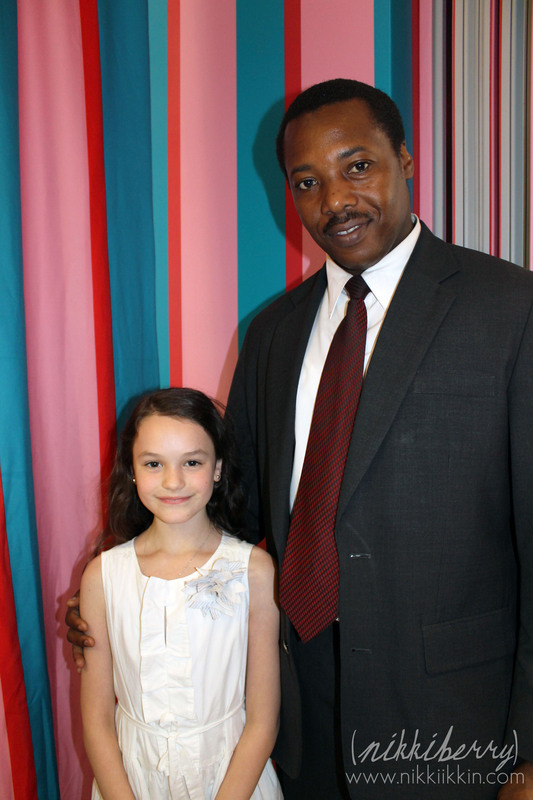 Not only did the party include 3 very helpful party staff but at the door to the event room Macy had her very own security guard to keep out the paparazzi and we actually noticed several party crasher attempts! Finally after the craft, game, pizza, & candy spree we sang Happy Birthday and ate cake. I added-on extra cupcakes to our package to send parents and siblings home with a treat. Partially due to fun music played the entire time the party went on and a lot due to the sugar high everyone had, Macy’s party was full of happiness and energy! 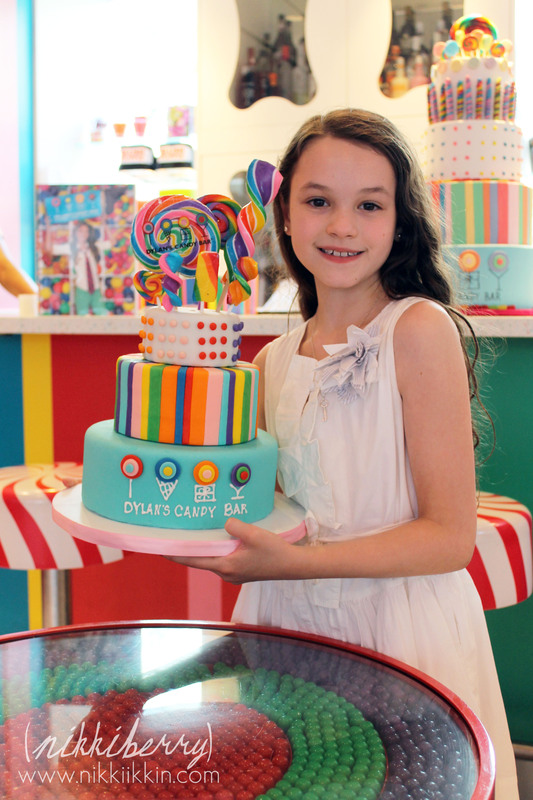 I never repeat party themes but I think we could repeat a party at Dylan’s Candy Bar…..maybe a SWEET 16? Like the cake? It can be yours! 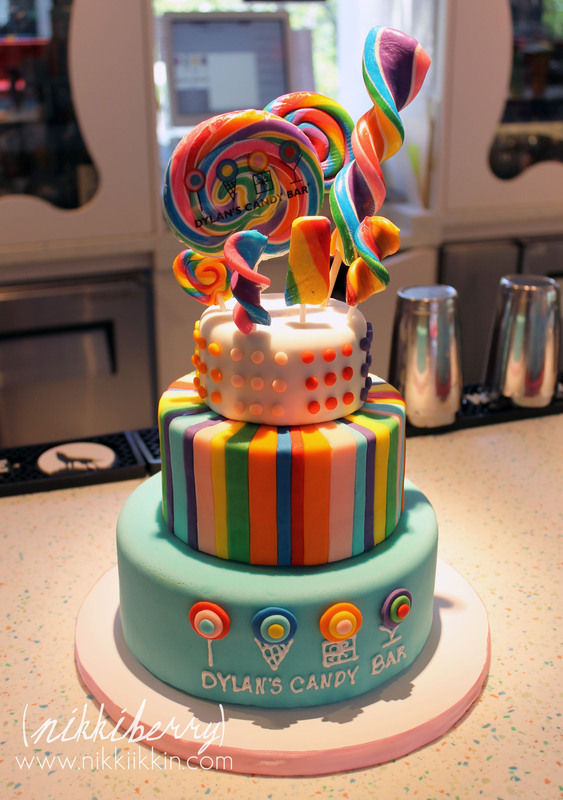 I am now offering a made to order Faux / Prop Candy Cake in my Etsy shop. She the listing HERE!